Salesforce will acquire data management platform (DMP) provider, Krux, in a deal expected to be worth US$700 million. The news sees Salesforce picking up the six-year-old San Francisco-based startup to bolster its data and analytics capabilities in the advertising sphere. Krux’s DMP offering allows users to unify, segment and activate audiences for marketing and advertising. According to a regulatory filing by Salesforce, the two companies entered into an agreement on 3 October for Krux become a wholly-owned subsidiary of the cloud giant. Salesforce will pay US$340 million in cash as well as issue common stock, bringing the total price tag to roughly $700 million. Krux CEO and co-founder, Tom Chavez, issued a statement this morning confirming the agreement and emphasising the strength of the companies working together. The companies were already partners. “As a part of the Salesforce ecosystem, we’ve had the opportunity to work closely with the Salesforce team to create integrations that make our customers even more successful,” he stated. Specifically, Chavez said Krux will extend the Salesforce Marketing Cloud’s audience segmentation and targeting capabilities. Its platform will also feed Salesforce Einstein, the vendor’s new artificial intelligence proposition, with billions of new signals to help users be more targeted with marketing and advertising. Chavez also said Krux will continue to invest in its enterprise data infrastructure and remained committed to its partner ecosystem. Industry analysts were quick to see the significance of the deal and its impact on the martech space, and none expressed surprise at Salesforce's latest acquisition. Principal of Raab & Associates, David Raab, said the deal gives Salesforce a truly data-centric technology architecture that can create unified customer identities across all channels. Raab pointed out Salesforce marketing cloud rivals, Oracle and Adobe, both have customer data platforms that extend beyond the traditional DMP role, something Krux will now deliver. IDC CMO Advisory research manager, Gerry Murray, put the deal in the context of a raft of other acquisitions being made by the big customer experience vendors vying to provide an end-to-end set of applications and services to manage the whole customer relationship. What this requires is a wide range of capabilities across marketing, sales, commerce, finance, services, fulfilment, call centre and more, he said. “We’ve seen a lot of acquisition activity at the application level over the years, but Oracle got out ahead of its enterprise competitors on data with its acquisitions of BlueKai and SalesLogix,” he commented. “Salesforce does not have a strong enough answer to Oracle Data Cloud and needs to urgently build up its DMP and data-as-a-service capabilities. Krux is a good start as it delivers acquisition and activation capabilities, Murray said, but he suggested Salesforce still needed to address data service issues. “With Microsoft buying LinkedIn, which Salesforce is contesting, we may see some interesting action between the big CX vendors and data services providers,” he added. Pund-IT principal, Charles King, said the value of data management platforms rests mainly on the precision of the results they deliver. "But the ability to scale easily and effectively is critically important to businesses that are attempting to gain insights into and craft personalised marketing campaigns for thousands or millions of consumers," he said. "Scalable audience segmentation and targeting is Krux's specialty, making it a great addition to the Salesforce Marketing Cloud, and the company should also be able to enrich other company assets, such as Salesforce Einstein." 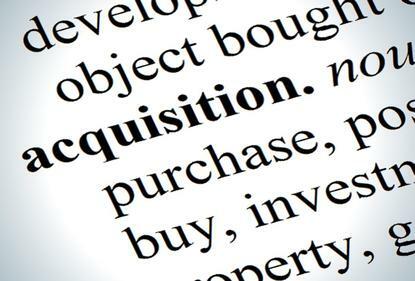 The deal comes three months after Salesforce acquired ecommerce player, Demandware, for US$2.8 billion, and launched its first ecommerce cloud.The vendor also acquired artificial intelligence specialist, MetaMind, in April to capitalise on the startup's deep learning capabilities.